So, did any of you bite and reg any .me domains? A lot of people have so far, according to the NamePros forum. I regged two, one during landrush (poet.me) and one on July 17, during open registration (Literature.me). I was late in registering Literature.me, so I didn't experience any problems; the Whois for Literature.me resolved almost immediately. Poet.me resolved on July 10, shortly after I was notified that I was the only applicant for it. I plan to park them soon, though I would like to develop them eventually, but I'm not in a hurry just yet. 1. Must be a high-performing one-word (Literature = 250,000,000+ Google hits; Poet = 50,000,000+ Google hits). 2. Fall within my field, thus useful to me personally, which both are. 3. Ideally, make some kind of sense with the .me (Poet is a descriptor of "me," so that's good; Literature does not quite succeed in this area, but the keyword itself was just too good to pass up. It's not like I mortgaged the house for it, so we'll see). Too bad that most of the great verb hacks are being kept in reserve for a later auction. From the start, I had pretty much decided to stay away from multi-word domains, no matter how good. I already have my full name (with and without middle name) in .com, so I see no need for .me. Perhaps others who missed out on getting their names in dot-com might want to reg their .me names, however. Had "Jennifer" not been reserved in the premium auction, I would have applied for it, but I doubt very much if I'd pay a premium price for it. What is the future for .me? It depends. If the Montenegrin registry manages the TLD properly, it could do quite well and benefit everyone. On the other hand, if they bungle the premium auctions (like .mobi) or get greedy (like .tv), then it will just be another lame TLD. The people who manage the .me TLD have so far done one very wise thing: they reserved the domains that they will need for government and citizen use; after all, first and foremost, .me is a country code for Montenegro (which means "Black Mountain" in Serbian. I spent some time there in the late 1980's, and it's quite a beautiful country). From what I understand, they also gave first preference to current .yu registrants before rolling out the TLD. 1. So far, it seems to be well-managed, with its open registrant policy. By opening up the TLD to the world, they are likely to create more buzz and desirability, which, in turn, could result in healthy aftermarket prices. 2. The obvious personal connotations of "me" could create an untapped market for memorable personal website domains. 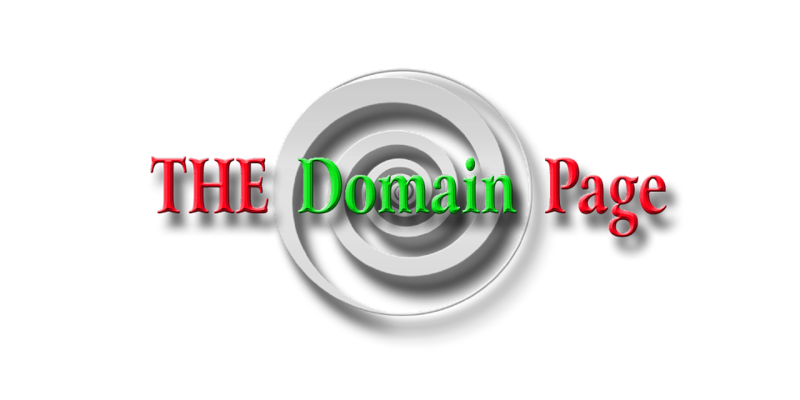 For example, I may be able to create a space where poets could sign up for subdomains: MsDomainer.Poet.me. 1. It's not .com and will never have the cachet of that TLD. 2. Perhaps people who maintain a myspace or blogspot page won't care if their URL's are long and unwieldy. 3. It will probably have little, if any, business application. It will always be viewed as "personal." 4. If the managers of .me slip into the greedy ways of other TLD managers, then .me will become a huge joke, and potential registrants will stay away. I have not offered any predictions today, just possibilities. One year from now, on July 17, 2009, we'll have a pretty good idea where .me is headed. Meanwhile, I plan to keep a level head and not register every .me in sight. They shouldn't offer TLDs like that to people with my sense of humor. Way too many possibilities.